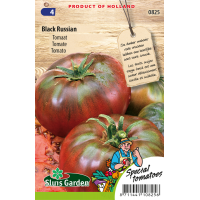 Black Russian is a quite compact plant which produces large fruits of approx. 100 grams after about 75 days. 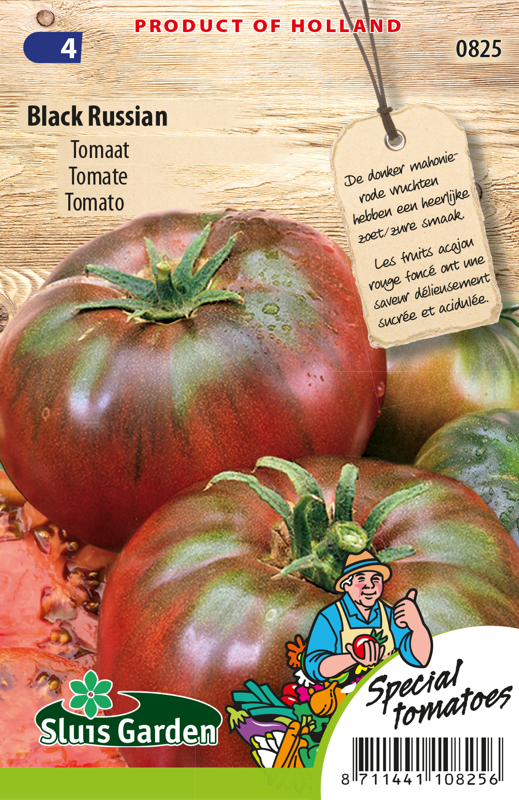 The dark mahogany red fruits have delicious taste, namely sweet/sour with a somewhat spicy flavour. High healthy antioxidant characteristics. Don't remove the side shoots too often in order to allow sufficient fruit to form. Greenhouse cultivation gives the best results.